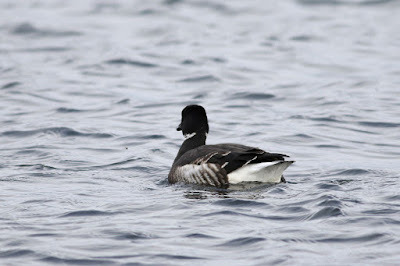 Doesn't it often happen that those days you didn't plan on birding turn out to be the best days? 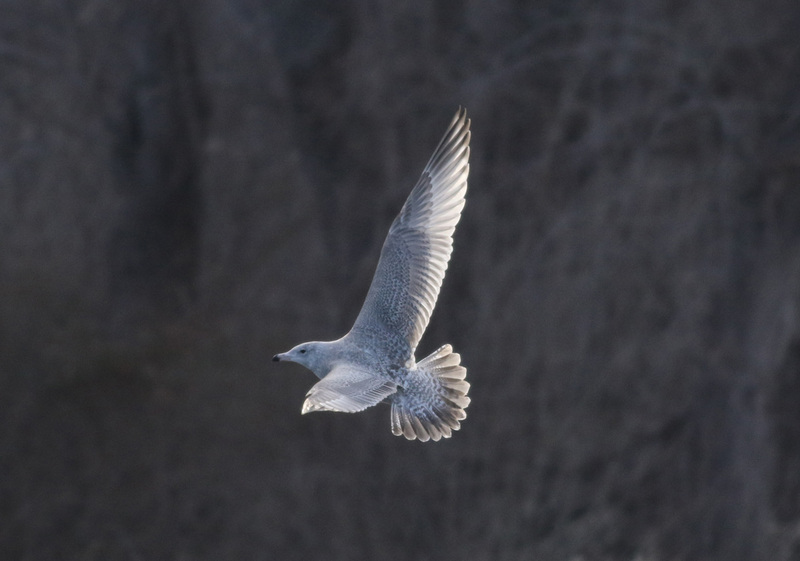 I unexpectedly found myself birding the eastern CT coast on Sunday, thanks to both a reported adult Ross's Gull in adjacent Rhode Island and altered social plans. 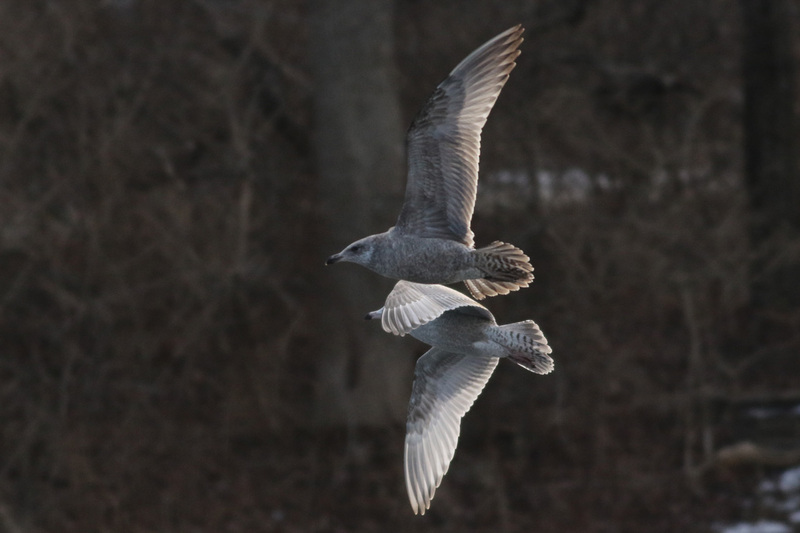 The strategy was to bird this portion of the coast, not far from that Ross's Gull sighting, trying to find the gull in CT all the while ready to cross the border into RI for a short chase if it was refound there. 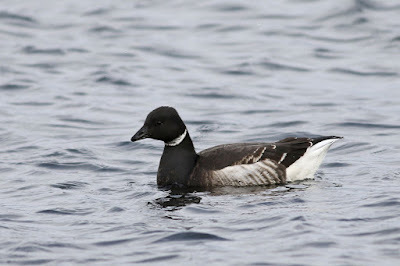 Last week's first cycle Ross's only left me wanting more - why not follow it up with an adult for good measure? As it turned out, mainly out-of-state birders were over the border searching for the ROGU. 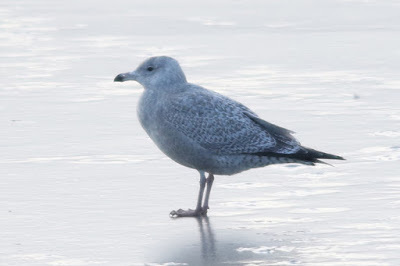 Can't say I'm surprised. Classic Rhode Island. I was working the coast from west to east, starting in Waterford. 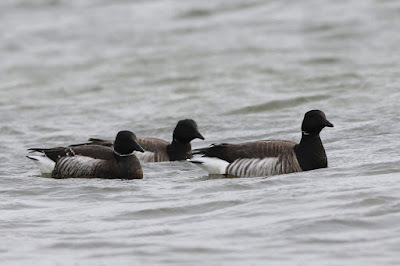 My first couple stops produced nothing exciting, but as I pulled into the parking lot at Eastern Point in Groton I eyeballed a half-dozen Brant that were feeding close to shore - three adults and three youngsters. 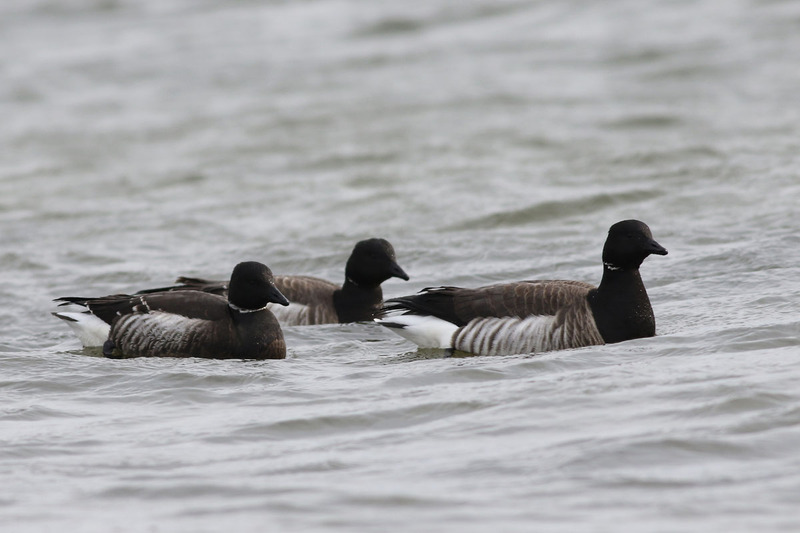 Through bins one of the young birds immediately popped as a great candidate for "BLACK" BRANT. 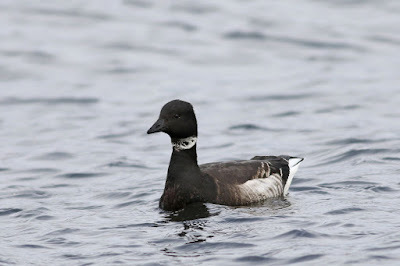 Obvious were the dark sides, darker shade to upperparts, and a white collar that connected anteriorly. 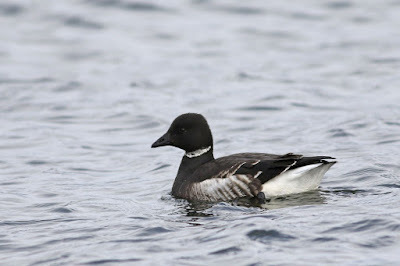 I could not see the belly at this point with the bird in the water, but given the above field marks I would have been shocked to see anything other than dark all the way to the legs. 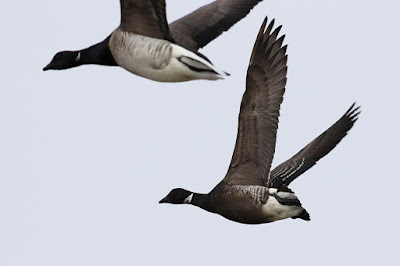 Sure enough this was obvious when the group took flight to the other side of the point. 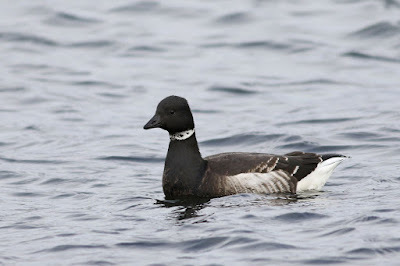 This is Connecticut's third record of this Pacific form of Brant. The first came in April 2009 and the second in January of 2010. 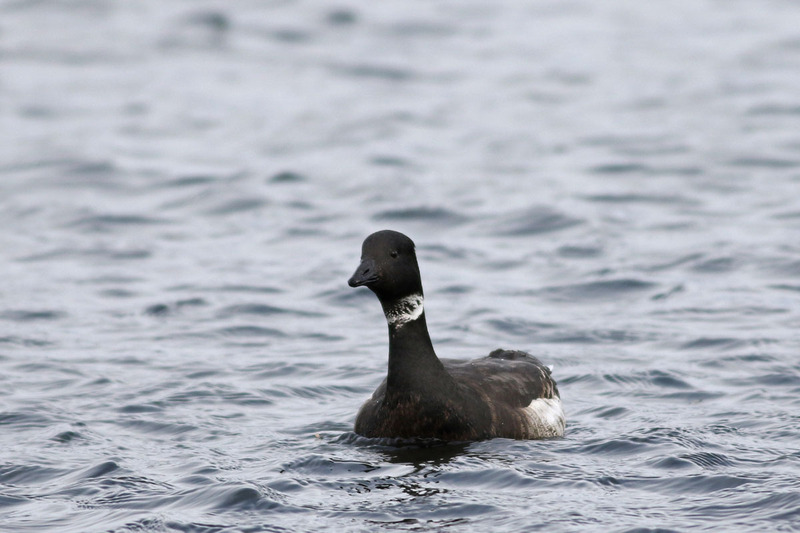 I enjoyed seeing a young bird this time; those broadly edged wing coverts are a nice touch on such a dark bird. 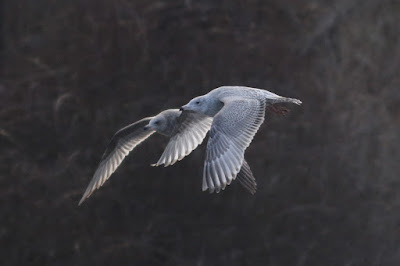 A handful of nearby birders who were also hoping to run into the Ross's Gull came by to view the goose. Other nearby birds included a few COMMON EIDER and PURPLE SANDPIPERS, and a large mixed flock of SNOW BUNTINGS and HORNED LARKS were feeding on the lawn around the parking lot. 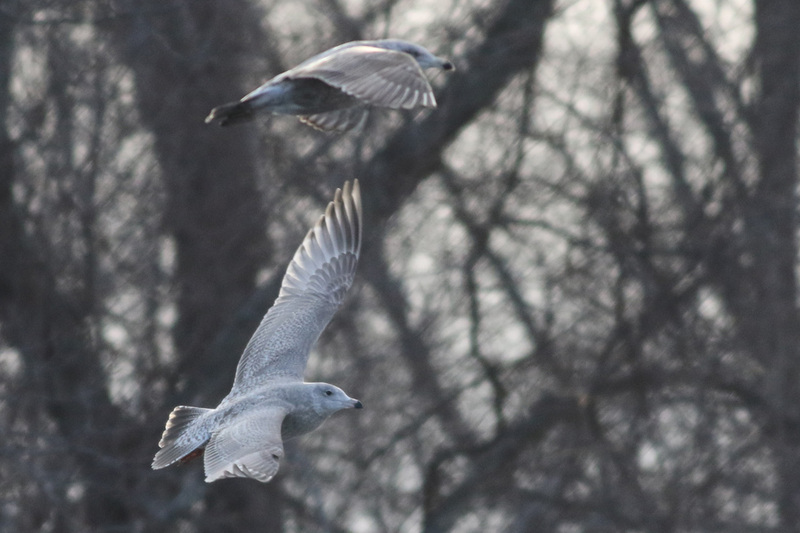 I hit a few quick stops in Old Saybrook on my way home, the most productive of which was a half-frozen Maynard's Pond on Ingham Hill Road that produced two REDHEADS and a first cycle hybrid Herring x Glaucous Gull. 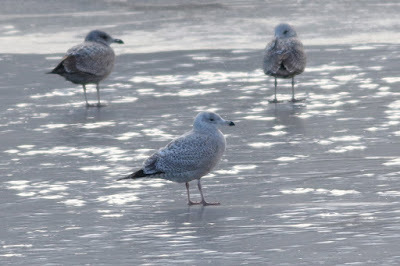 The gull stood out among the flock as a pale, frosty Herring-like bird. 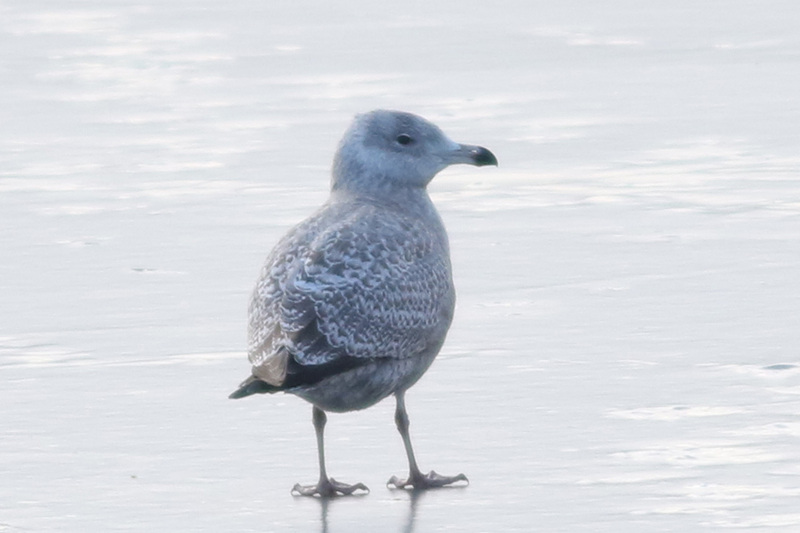 The bicolored bill and fresh plumage were also quite striking. There must be Glaucous genes in there. I have seen this hybrid combo paler than this for sure, but I have also seen even more Herring-like birds than this, usually juvenile mocha-colored individuals that are darker overall but have that bill shape and pattern with a smooth coffee-colored head. 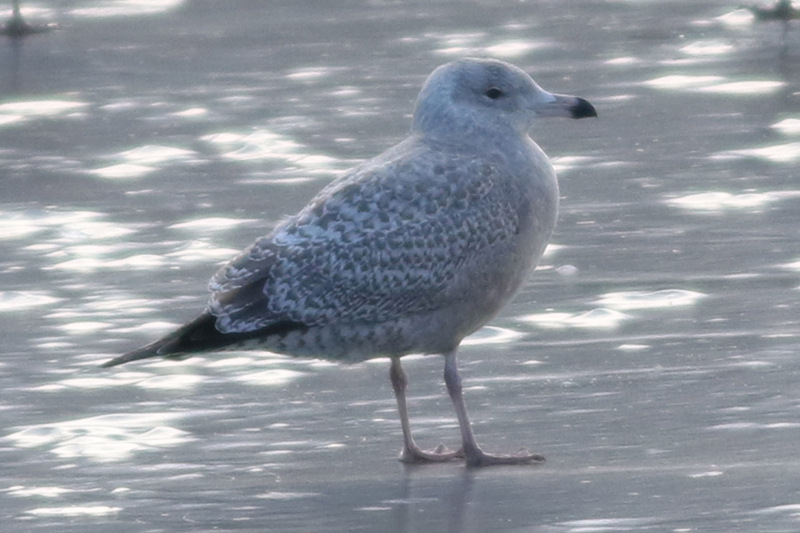 I suspect Glaucous genes in those darker individuals too, but it's just impossible to know where to draw the line with these things. I saw a flock of 34 "Black" Brants today, floating near the shore at Pine Creek beach in Fairfield Connecticut around 3:00pm. 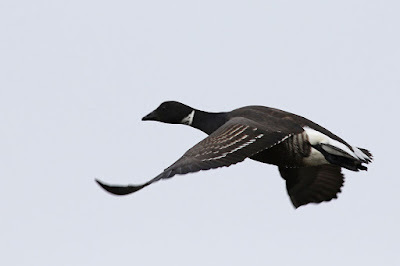 Kelley, thanks for the note. The type of Brant you likely saw was our expected "Atlantic" AKA "Pale-bellied" Brant. 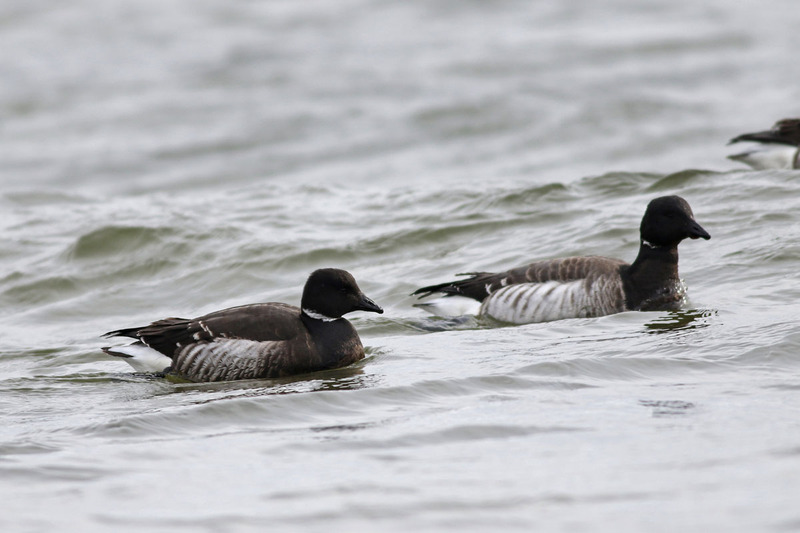 "Black" Brant is a Pacific form that has only been recorded 3 or 4 times ever in Connecticut. 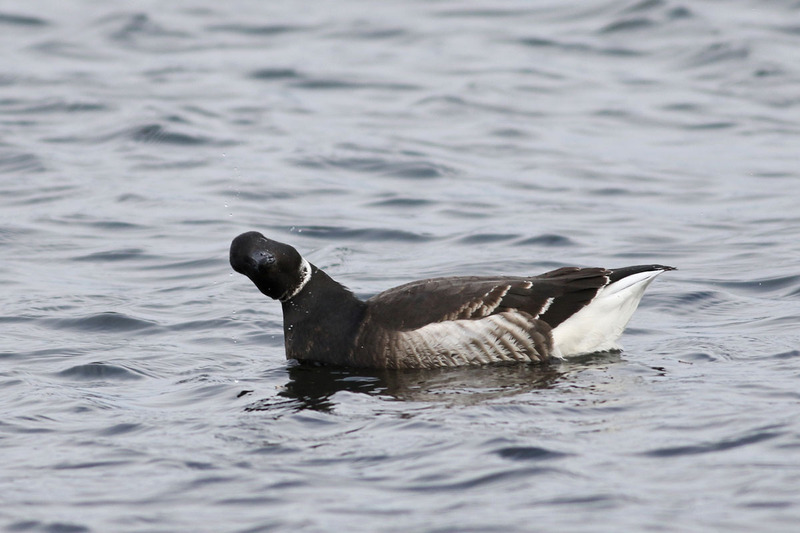 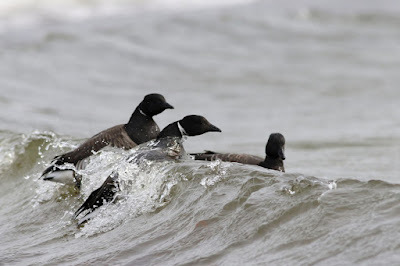 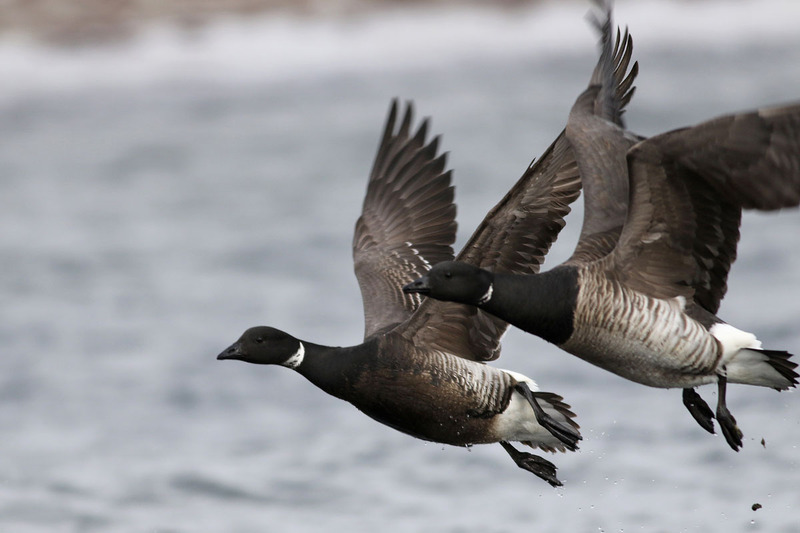 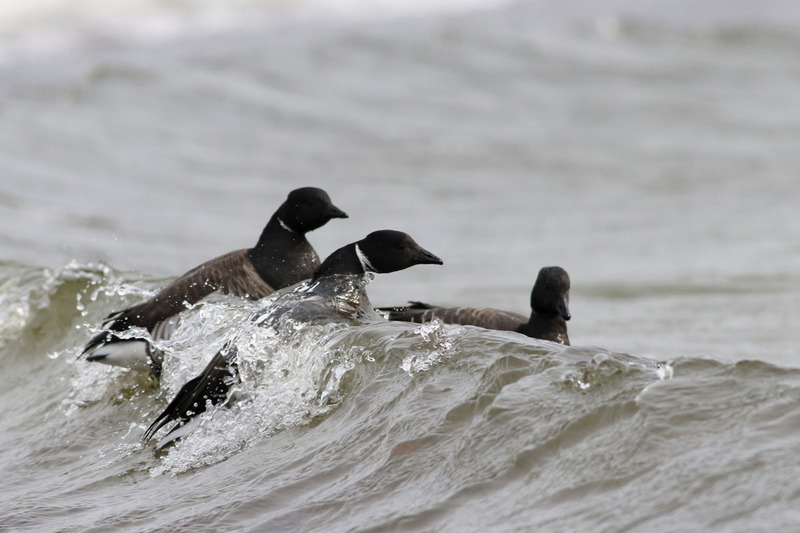 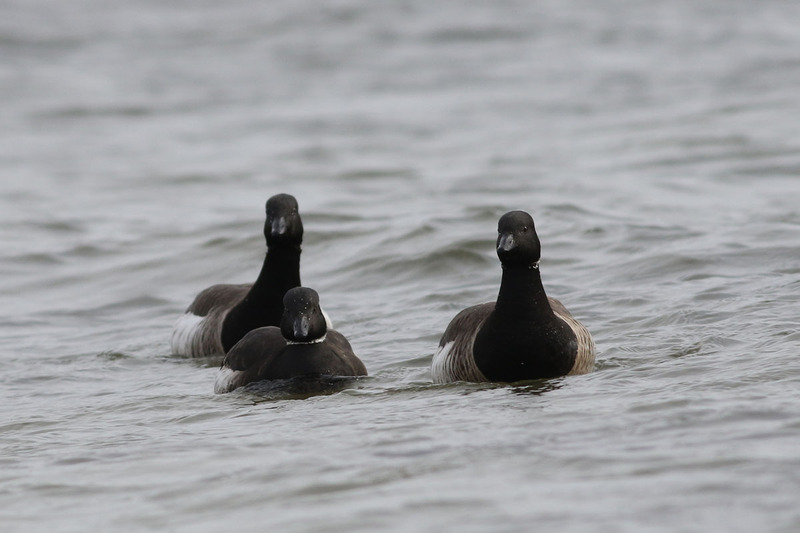 Brant are an interesting species comprised of several subspecies - they're fascinating.